Immersive Life Practices is out and you can order it here! Featuring contributions by: Heather Radke, Myles Horton, Ben Nicholson, Brian Holmes, Lori Waxman, Michelle Grabner, Nance Klehm, Emmanuel Pratt, Donna Neuwirth, Jay Salinas, J. Morgan Puett, Dr. Charles Smith, Lisa Stone, Paul Durica, Pablo Helguera, Theaster Gates, Jacqueline Stewart, Lucky Pierre, Ellen Rothenberg, Compass, Ken Dunn, Dan Peterman, A. Laurie Palmer, Rirkrit Tiravanija, Mary Jane Jacob, Bertha Husband, Daniel Tucker and Claire Pentecost. Featuring further writing about and documentation of: Phil Morton, Jane Veeder, Wafaa Bilal, Michael Piazza, Fellowship of Reconciliation, Feel Tank Chicago, Temporary Services, Material Exchange, Axe Street Arena, the Suburban, the Poor Farm, Coco Fusco, Guillermo Gómez-Peña, ACRE, Ausgang.com, The Free Store, HaHa, Simparch, Hull House, Jane Addams, and more. 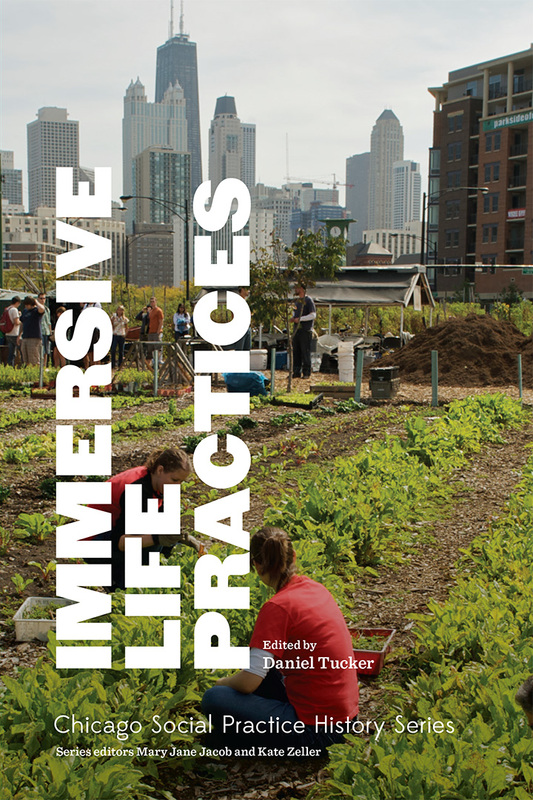 Immersive Life Practices was edited by Daniel Tucker as part of the Chicago Social Practice History Series edited by Mary Jane Jacob and Kate Zeller. Download the introductory essay here.